SN Writer Tool v1.1712 allows you to flash or write the IMEI on your Smartphone, Feature Phone and Tablets powered by Mediatek Chipset. The SN Writer Tool is the official tool released by the Mediatek Inc, to write the IMEI on Mediatek devices. SN Writer Tool comes as a portable application which means you dont have to install the tool on your computer to use it. 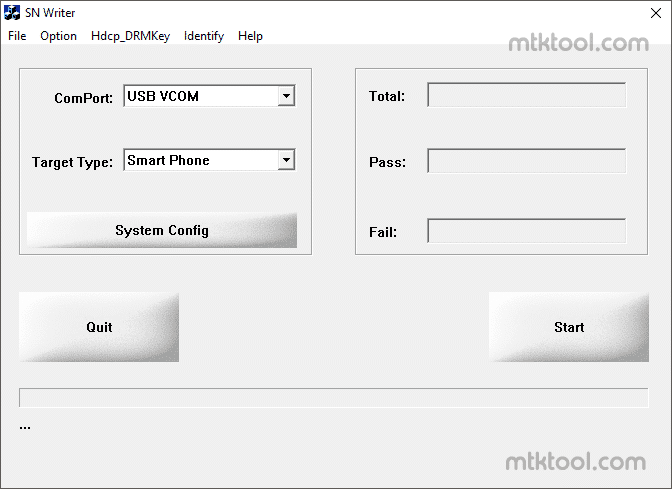 Simply Download the zip package on your computer and extract it and you are ready to write or flash the IMEI on your Mediatek Device. By using the SN Writer Tool, you can write Maximum 4 IMEI at a time (device must come in support of 4 IMEI). It also allows you to write the Barcode Address, Bluetooth Address, WiFi Address on your Mediatek Device. Here on this page, we have managed to share official and tested version of SN Writer Tool i.e v1.1712 which will help you to fix, write or flash the IMEI on your Mediatek Smartphone, Feature Phone and Tablets. SN Writer Tool can be used on any Windows Computer including Windows XP, Windows Vista, Windows 7, Windows 8, Windows 8.1 and Windows 10. You will need to have the Database File, in order to flash the IMEI on your Mediatek device. [*] Compatibility: SN Writer Tool is compatible with Windows XP, Windows Me, Windows Vista, Windows 7, Windows 8, Windows 8.1, Windows 10 (32 or 64 bit computer). [*] How to Use: If you want to learn to operate SN Writer Tool, then Follow How to Use SN Write Tool Page. [*] Alternative Tool: MauiMeta is an alternative tool which also helps you to flash IMEI on Mediatek Devices. You can get the latest version of MauiMeta from this page. [*] Credits: SN Writer Tool is created and distributed by Mediatek Inc. So full credits goes to Mediatek Inc for providing the tool for free.